All quoted prices are recommended retail prices without any tax, freight and packing costs. 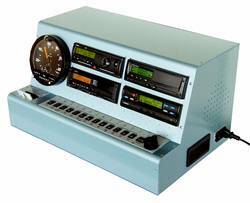 The Basic-Training-Case 6041-100 can be equipped with just the tachograph of your choice: either with DTCO1381, SE5000 or EFAS. 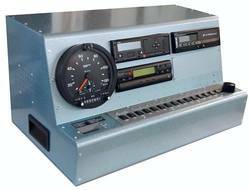 If, for whatever reasons, it becomes later necessary to have another type tachograph fitted, this would be possible and would only be a costs factor as to the price of a new tachograph, its particular parts and related working time units. 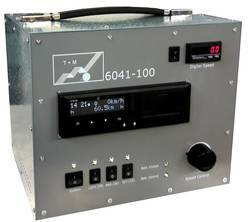 This Basic-Training Case is a cost effective addition to our Multi-Training-Case 6041 series. It will be equipped with the tachograph brand of your choice and whether to fit standard or training type of digital tachograph. This is valid to all of our training cases. Only when ordered, we include with delivery of our training cases an easy to operate type of software T3. Whereby all recorded data on the driver cards and/or tachograph can be downloaded. All this data becomes visible and therefore easy readable. This is a supporting aid whilst training driver personal. The software is giving reference to the various offenses that lead to penalties as well. All our Training Cases equipped with special training tachographs will be delivered with a set of UTOPIA cards comprising of 2 driver card and 1 company card. The left image shows Multi-Training-Case 6041-03 equipped with a standard speedometer, two tachographs DTCO1381und SE5000. Our training cases are equipped in accordance with your requirements, precisely to what you are perhaps looking for. The diversity of our training cases is large and really convincing. They are present at many driving schools throughout the EU. We include with delivery of our training cases an easy operating software T3 whereby all recorded data on the driver cards and downloaded data from the digital tachograph becomes visible and therefore readable. This is a supporting aid whilst training driver personal. The software is giving reference to the various offenses that lead to penalties. The Multi-Training-Case 6041 offers the instructor a unique and flexible opportunity to train drivers in the correct use of all types of digital tachographs. The left image shows Multi-Training-Case 6041-06 equipped with the following tachographs: KTCO1318, DTCO1381, SE5000 and MTCO1324. Our training cases are equipped in accordance with your requirements, as far as this will be possible. The diversity of our training cases is huge and actually also convincing. They are present at many driving schools throughout the EU. In case where there is no real need for this Software T3, no problem, it can of course be excluded from the delivery. This would lead to a convenient price reduction. See price information. Available too is a special software T1 package at only € 49.00 net direct for drivers. This is to enable them to learn about what is hidden in their driver card. Thus he/she would be informed at all time what their real driving, working, break and rest times situation is. This Training Case is including the following tachographs: KTCO1318, DTCO1381, SE5000, EFAS 3 and MTCO1324. This is unique for training drivers in the use of both digital and analogue tachographs. This Training Case can give one all answers and can do everything that one is perhaps looking for or wishing to have. 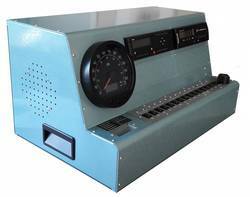 All our Training Cases are supplied with either real standard tachographs that are operated with real Driver Cards or alternatively special training type tachographs with UTOPIA test cards. Driving schools must train lorry, bus and coach drivers in the correct use of all tachographs currently in the market place and re-check drivers on their CPC (Certificate of Professional Competence) at five years intervals in a 35 hours training session resulting in 5 x 7 hours each session.